We visited this superb show last year and couldn’t wait for this year’s event to come round again. Not a massive show with loads of vehicles, but a lovely atmospheric show with a mix of 1940′s vehicles, clothes, music, military vehicles and re-enactors in uniform. Held at Bantock House located in the leafy and open Bantock Park just West of the City of Wolverhampton, Helen Steatham, the museum curator, and her team must be congratulated once again for a superb two day show held over the weekend of September 4 and 5. We thought last year was good, but this year was even better. Like last year, we visited on both days and we thought there were even more visitors than ever this year as word has spread about this friendly event. 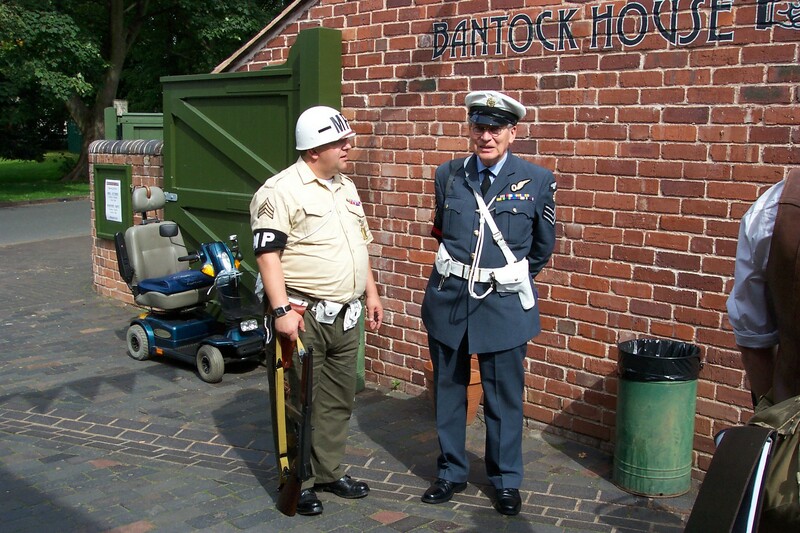 One the main attractions of the event, the superb 1940′s room, where visitors could dress up in 1940′s clothes and accessories and have their photo taken was once again doing a roaring trade. It still amazes us that the photos we took at last year’s event of the 1940′s room remain some of the most popular on Miliblog and we’ve received many emails from our friends in the USA, especially wanting to know who the Three Glamourpusses were. Hopefully this year we can give them even more photos to excite them. 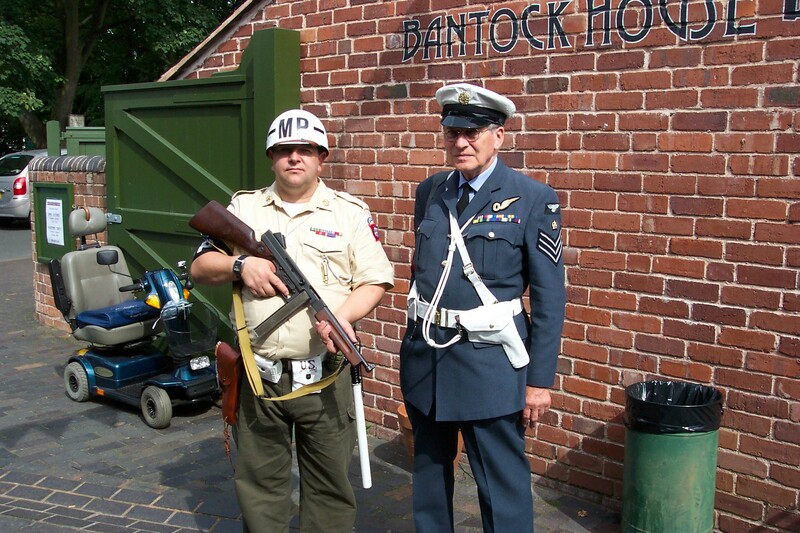 New this year was a tribute to the 70th anniversary of the Battle of Britain by the WW2 RAF Group re-enactors. 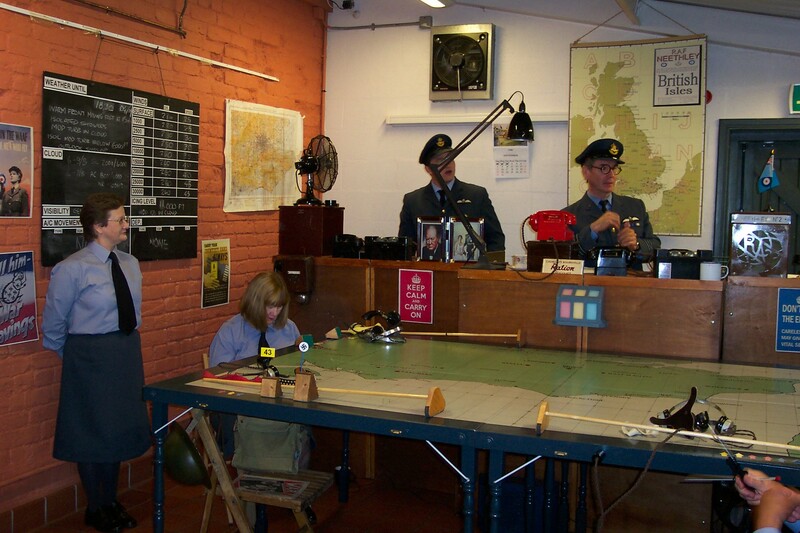 Based on an 1940′s RAF emergency operations room at RAF Neechley, it was a recreation of an enemy air attack during the the Battle of Britain and featured WAAF’s plotting the aircraft on a huge map table, while Control at the back were receiving telephone calls and then quickly scrambling squadrons of aircraft at various airfields to go and do battle with the Luftwaffe. While most of the time the re-enactment was at stand down, every hour an enemy raid occurred and the ops room swung into action. 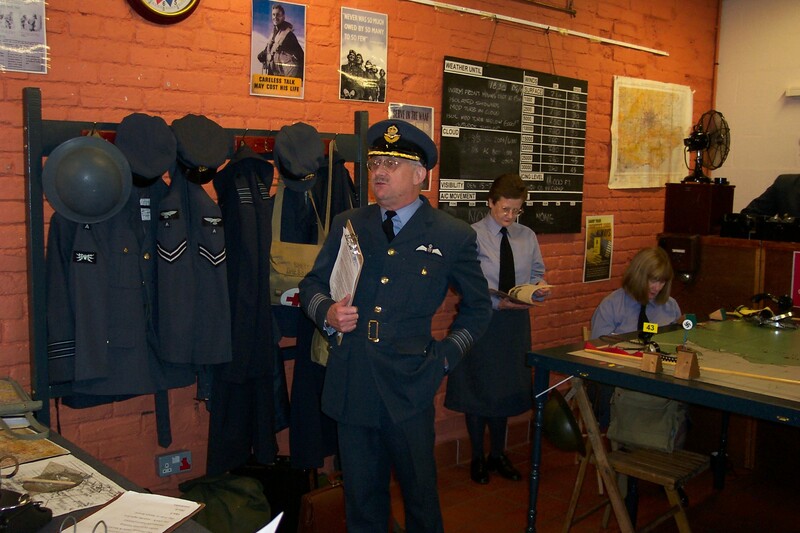 Very realistic indeed with lots of original pieces of genuine wartime RAF equipment and uniforms, just look at our photos below. We’ll also feature the group on our Clubs page on Miliblog. 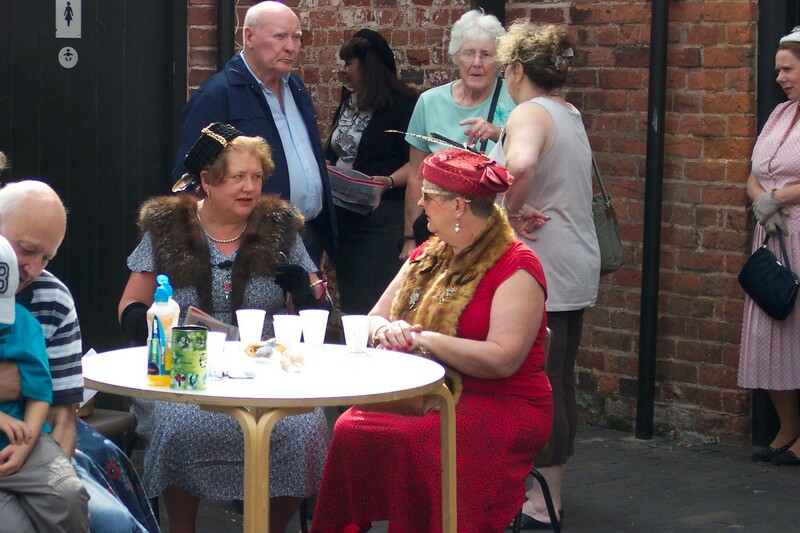 Last year there were many people from the wartime generation attending, but this year there seemed more people from younger generations. Lots of children were there with their parents, since WW2 is covered in many of the UK’s history lessons, and many were amazed to see history come alive. Wherever you looked, you saw a British Paratrooper, a desert tank commander is his sand coloured shorts, US Snowdrop Military Policemen, RAF police and lots of ladies in 1940′s clothing. The key thing being that every one was soaking up the atmosphere, especially when an entertainer arrived in the stage area and began with some wartime jokes about US soldiers being over here and pinching all our girls. He then broke into singing a number of wartime songs, which the audience really loved and joined in. 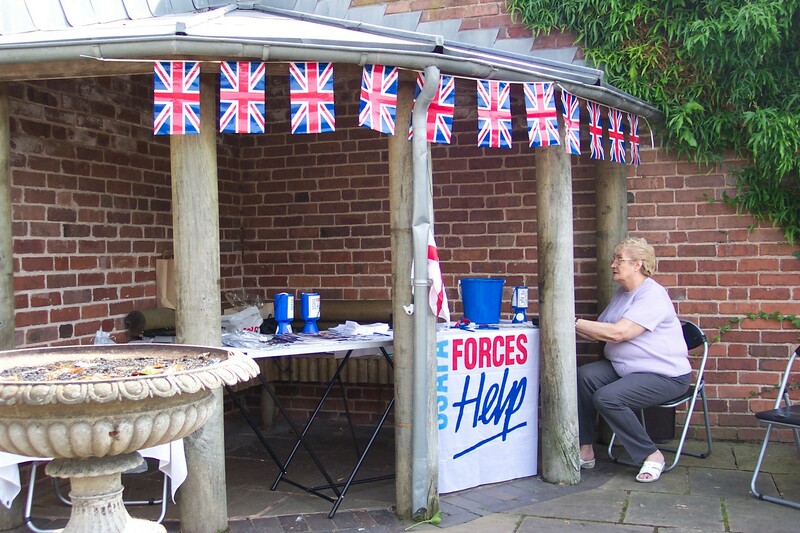 The tea room was also very busy with people just enjoying the September sunshine. We saw many re-enactors from a number of groups, including our favourite Land Army girls from last year who we captured dancing along to 1940′s music. This year we persuaded them to pose especially for the Miliblog camera, but not without a laugh. One of the group had been sitting down with her dog, Trixie, who seized an opportunity to run over and steal of of the Land Army girl’s lunch that was on a plate on the floor. We could only laugh !!! Another group was the Victorian Westerners, who attended in 1940′s clothing, including a marvellous French Resitance fighter, which we picture below. Although often recreating either the Victorian or wild-west eras, they looked really great in 1940′s clothing, with the one lady being given some special attention by some passing GI’s !!! There was a nice small selection of military vehicles in attendance and we spoke to most of the owners. 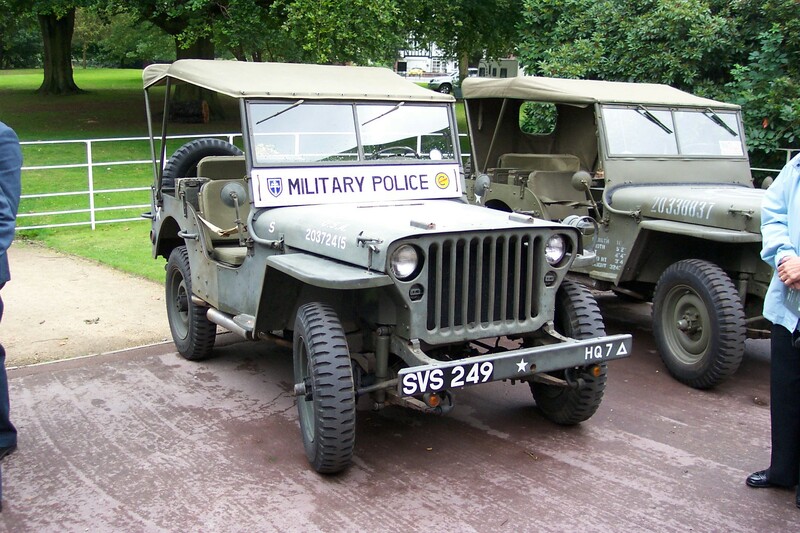 A lovely condition Ford GPW Jeep in RAF colours was owned by a couple, dressed in full RAF uniform to match their vehicle. 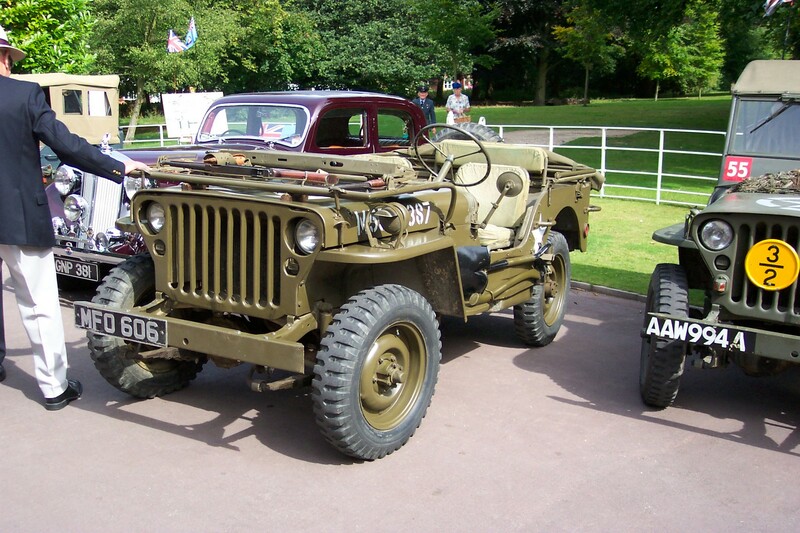 Only recently completed, they’d taken the Jeep over to Normandy in June this year and enjoyed a tour of the beaches. 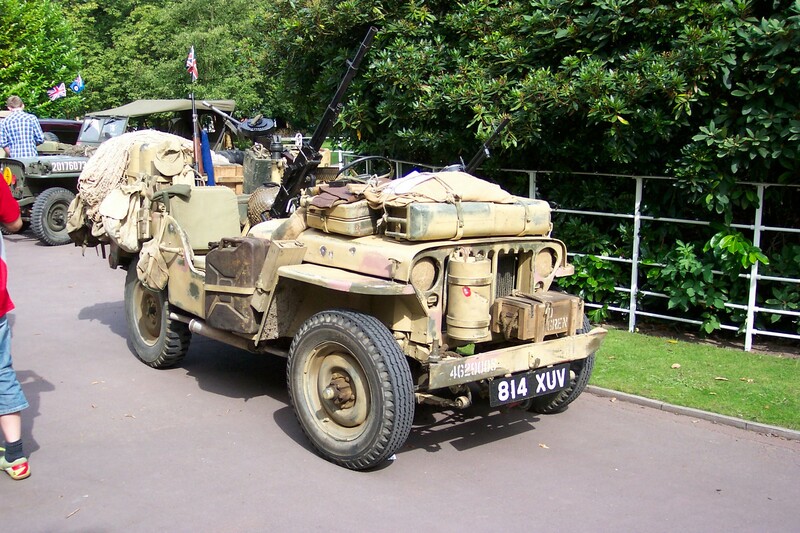 John Vaughan was also there with his Willys MB Jeep and on the Sunday was joined by his son with his Dodge WC-52 Weapons Carrier. The Dodge had been used on a farm in Normandy for many years before laying in a pasture before being rescued by John and his family. 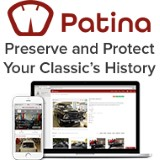 The renovation had taken three years and a lot of hard work to get it to such a fantastic condition. They said it mainly just ventured out to local shows around the Midlands, since they got a fantastic 8 miles per gallon out of the six-cylinder engine ! So I hope you enjoy the photos below and certainly put the date in your diaries for next September, as indeed we will !!! We can’t wait to see what Helen and her team dream up for next year. We thought last year the event couldn’t have got any better with it’s the marvellous displays and visitor participation, but we were absolutely amazed with the new ideas and features at this years show.